Submit a proposal for an oral presentation or skill-building workshop at SOPHE’s 21st Annual Advocacy Summit, October 19-21, 2019. This year’s summit, Championing Health for Vulnerable Populations, focuses on the health education approach to opioid addiction and misuse. The summit themes explore the public health impact of prevention and the role of health education advocates. Opioid Addiction & Misuse Prevention, Treatment, and Advocacy: Explores how public health professionals can use their advocacy skills to address the opioid epidemic. Advocacy Skill-Building: Focuses on the skills that today’s advocates must know in order to create and sustain an advocacy campaign at the local, state, or federal level. Incorporating Advocacy in the Classroom: This subtheme targets faculty members (and future faculty members) who are interested in new and interesting ways to teach advocacy to their students. Prevention activism explores causes and topics that public health professionals can use their advocacy skills to influence or bring about political or social change for the future. Advocacy skill-building focuses on the hard skills that today’s advocates must know in order to create and sustain an advocacy campaign. Incorporating advocacy in the classroom targets faculty members (and future faculty members) who are interested in new and interesting ways to teach advocacy to their students. Plan now to be a part of this opportunity to engage in effective advocacy for a common health education agenda at the national, state and local levels. Before beginning the submission process – work previously published or presented at a national conference is not qualified or accepted. Submission of multiple abstracts presenting date in different ways is prohibited and subject to rejection. To begin an abstract submission, sign in or set up an online profile at http://my.sophe.org/. All co-authors are required to have or set up an online profile and confirm name, title, organization/university, degrees, certifications and email. If you encounter technical difficulties using Internet Explorer, we recommend using Chrome or Safari. If you have questions, please email education@sophe.org. Review the check before beginning a submission. Agree to a disclosure statement on behalf of all-authors. Relationship to conference theme: Does the abstract relate to the theme and the chosen subtheme? Methodology: Are objectives clearly stated? Are findings included and do they correspond to the objectives? Usefulness: Can the research, program, or plan be applied elsewhere? Is it useful to practicing health educators, researchers, students, public health professionals and/or academicians? Innovation: Does the abstract represent research or a program or project that is unique, new, different, or creative? Clarity of content: Is the abstract well‐written? Does it clearly outline what the presentation is about, such as project type, target audience, setting? Does the abstract clearly identity the entry‐level Area(s) of Responsibility or advanced‐level sub‐competencies? Overall reaction: Considering the above criteria, what is your overall reaction? Emails are sent upon abstract creation, adding any co-author or a complete abstract submission. 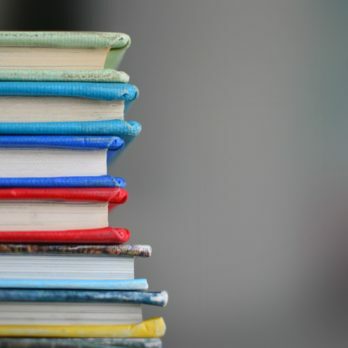 Submitting authors are notified by email if their proposal was accepted or declined in July 2019. Authors chosen to present need to register for the advocacy summit by September 1, 2019. Online profiles are required to submit an abstract at http://my.sophe.org. All co-authors need an online profile to confirm name, title, organization/university, degrees, certifications and email. If you have a profile, sign in at the top right-hand side of the screen. If not, select “Register and create my SOPHE profile on the bottom left of the page. Write objectives that specify learner outcomes to be achieved by the participants. The presentation is identified as entry‐level or advanced‐level, but not both. The level of the presentation must correspond with the appropriate competencies – see below. In writing a behavioral objective, the first step is to start with the key phrase. Use the following objective template for creating a quality learning objective, “By the end of the session the participant will (be able to): select verb from the “Writing Objectives” tip sheet (complete the objective with a measurable element and specifics to your session).” Enter text for up to three objectives. Designate a session as either entry‐or advanced‐level and select associated competencies. Selection does not affect reviewers’ rating. It is only used by the continuing education committee if an abstract is accepted. For additional information, visit http://www.nchec.org/ for additional information on the competencies. If entry‐level is selected, choose up to three (3) associated competencies. Entry‐level continuing education contact hours for CHES®. Select among the competencies for health educators met by the behavioral/learning objectives for abstract submission. An abstract needs to address at least one competency. If advanced‐level is selected, choose up to three (3) associated ADV competencies. Advanced‐level continuing education contact hours for MCHES®. Select among the competencies for master health educators met by the behavioral/learning objectives for abstract submission. They are identified in the competencies list with ADV at the start. An abstract needs to address at least one advanced-level competency. SOPHE policy requires potential presenters to disclose any proprietary, financial, professional or other personal interests in the material to be presented. This includes past employment, serving as a consultant, conducting clinical trials, serving on an advisory committee, inclusion in a speaker’s bureau, owning stock, holding patents, etc. I declare that to the best of my knowledge all my co‐authors and I have no proprietary, financial, professional or other personal interest in any product, service and/or company that could be construed as influencing the material proposed for presentation in our abstract. I have read and agree to the disclosure statement. 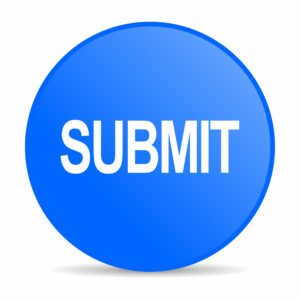 I declare that my co-authors and I agree to the following if our abstract submission is accepted for presentation at SOPHE 2019: (1) To present the work as described in the submitted abstract and to present the session format assigned by the planning committee; (2) Each author/co-author attending the conference must register for the conference and assume responsibility for their own registration, lodging and transportation costs. (Please note that if any accepted abstract author withdraws with late notice or fails to show, this will impact future opportunities to present at SOPHE meetings); (3) If selected for a presentation, a copy of our slides will be provided to SOPHE one week prior to the start of the conference, so that they can be made available to attendees and available at our assigned session; and (4) Acknowledge and accept that our presentation may be video or audio taped and made available for future continuing education purposes. Enroll in SOPHE's newest online continuing education course and affect policy in your community.